Can your child tell the difference between a circle and a square? Between a triangle and a rectangle? As your child plays through JumpStart Academy Preschool, they will pick up the skills necessary to recognize and name basic shapes. Soon, they’ll be shape experts! As your kid explores the world of JumpStart Academy Preschool, they will encounter games, assignments, and lessons on Common Core standards. One of these essential subjects is recognizing and naming shapes, something that is essential for all preschoolers to know. 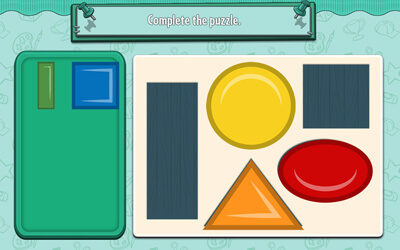 Your child will master this topic through captivating games and activities. From squares to circles to triangles, your child will soon be able get a head start on these important standards. 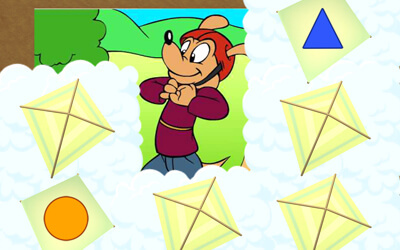 Through a series of games meant to help them recognize and memorize shapes, players will get a learning edge on peers. Each game, assignment, and lesson is meant to challenge your kid and build essential critical thinking skills. Soon, your preschooler will be naming shapes at the speed of lightning!